You can get roles without even auditioning. Did you know that? Happens all the time. You can do the 10 year plan and audition. The industry statistic is 50 professional auditions to 1 role. How long will it take you to do 50 professional auditions? 2 years? 4 years? That means you are not making money as an actor, you’re auditioning all the time and it’s costing you money. You want to pick and choose your auditions. 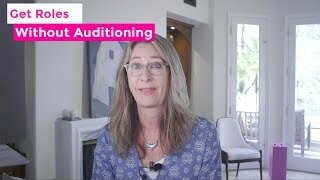 See how to get roles without auditioning. When you get on film sets, working alongside professionals, and NOT as background — you can get put straight into the film. If you’ve been hoping for a shortcut, here it is.